Located at the corner of 7th and onion, this historic site formerly housed the abandoned shell station and storage facilities. 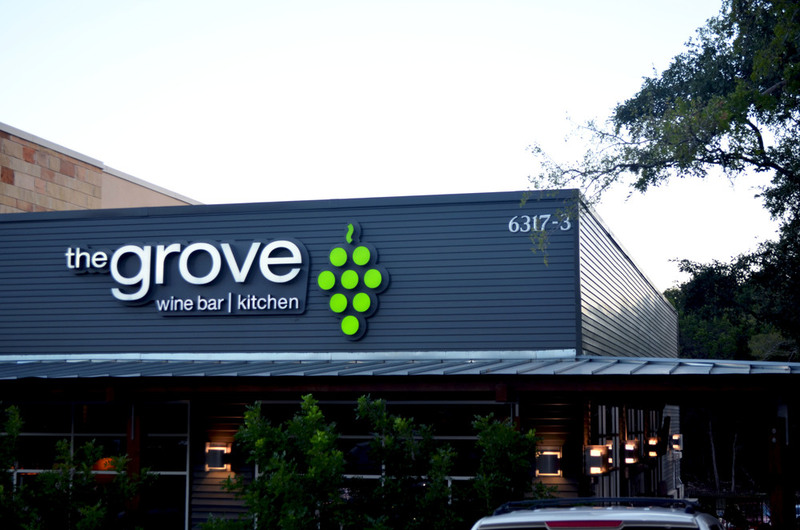 We removed all buildings providing a canvas for what has become one of Austin's most notable restaurants. Insprired by Provence, Fance, La V is rustic yet refined. There are a series of "rooms" at La V, Architects at McAlpine Tankersly designed each room to provide a distinct but intimate ambiance: casual outdoor dining, energetic wine bar, sophisticated lounge, welcoming dining room and an elegant private wine room. 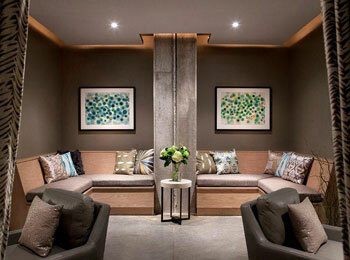 Designer, Susan Ferrier, created a warm, captivating interior while Pinnacle carried out the vision. 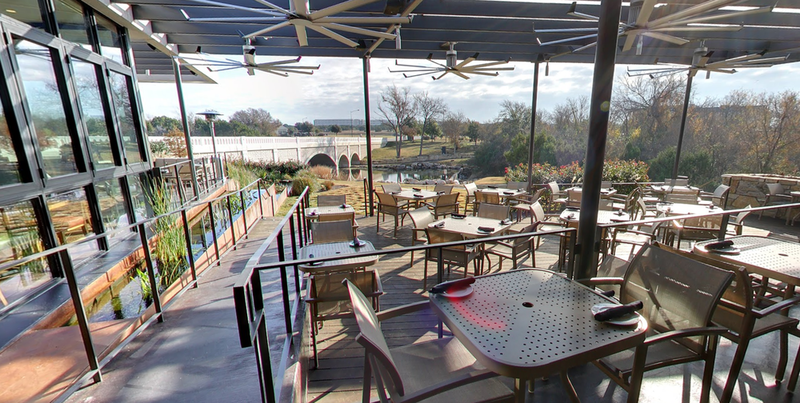 Located at the corner of South Lamar & Gibson, Odd Duck is a 110 seat restaurant and outdoor patio with downtown views. Finishes are Texas influenced with reclaimed wood and locally sourced materials. 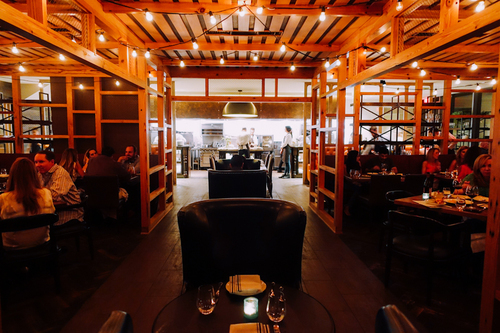 The kitchen is fully open in the center of the room with a custom wood fired pizza grill and oven. The bar wraps the kitchen and is the focal point accented with rustic woods and metals. The exterior is lined with full height glass bringing the exterior inside the space. Lonesome Dove, located in downtown Austin on 5th and Colorado Street resembles it's flagship restaurant located in Fort Worth, Texas. The space features pinewood, back steel, leather, brick details, and animal relics. The 150 seat restaurant includes wooden tables, cowhide-lined banquettes, and taxidermied animals from Tim Love's collection. 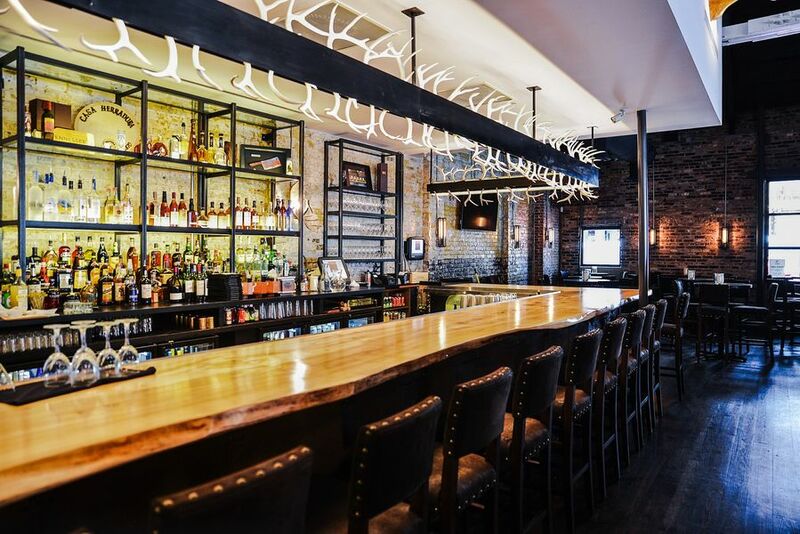 A custom-designed long chandelier of deer antlers floats above the 20-person bar, which is made from cottonwood trees. There’s a private dining room for up to 30 guests and lucky diners in the temperature-controlled wine room get to keep warm with shawls and suede vests. The Southern Contemporary space was designed by Joel Mozersky Design and carried through by Pinnacle Construction. Located on Burnet Rd, the new Barley Swine is a much bigger space than the previous location on South Lamar. The new space seats 65 people inside and 20 on the patio and features a Chefs Garden Table. Designed by Levy Architects, the space is centered around an open kitchen. Located on the first floor of the IBC Bank building at 5th & Nueces, Fixe finishes bring Southern charm to Austin. 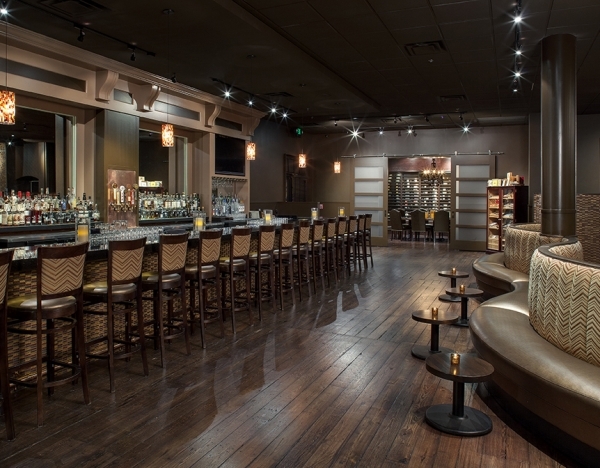 You are greeted with a welcome bar made of live edge wood and wood bar topped with end grain mesquite butcher block. The walls are a combination of wood and distressed plaster while the ceilings are accented with vintage screen doors and the perfect lighting. 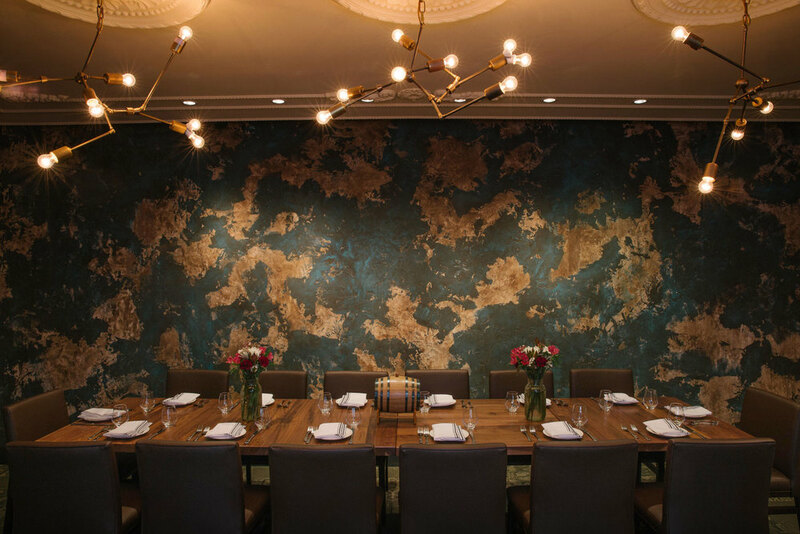 As you enter the private dining room through the custom wood doors, you soon discover the attention to detail on every surface, custom crown trim and medallions, vintage lighting and antique walls. Centered in the main dining room is a modern take on Grandma's wood porch. The exposed kitchen is lined with tile, surrounded by a custom expo line and topped with a copper hood. It's truly a southern experience. The construction of Zed's was a beautiful compilation of style and grace by Pinnacle Construction. The stunning water feature installed at the front entry extends under the building and flows onto a back patio fountain. An expanse of glass windows designed at the entry allows the exterior finishes to continue into the interior of the restaurant. Materials used include Ipe walls and a combination of wood, carpet and concrete floors. Various tile finishes were incorporated throughout, and the back bar was constructed with a combination of heavy wood, stone and steel. 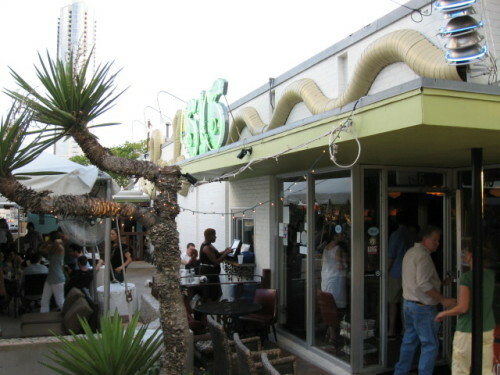 Formerly a taqueria, Ranch 616 was transformed into a "South Texas Ice House". The interior is a variety of glass tile, concrete, wood, stone, random patterns and colors that create a unique setting. Construction was challenging as the space was limited and the finish materials were recycled, requiring meticulous installation. We later added an outdoor patio including restrooms, a stage, and dining. Elevated 6' above the adjacent walk the patio is surrounded by concrete-all accented with street reflectors installed individually. Just like the interior, the patio is a combination of fun! The focal point of the sleek interior is the 38' "martini" green stone bar accented by natural finished woods giving an organic feel. 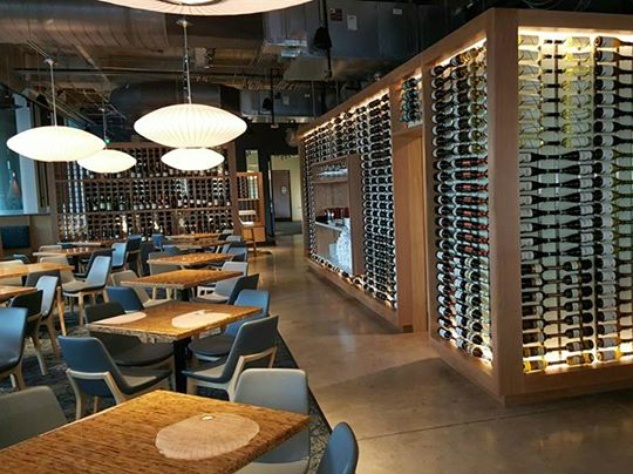 The wine tasting and retail area is comfortable tucked under the two level wine storage and display while the dining space is open with sealed natural floors and open ceilings draped with sheer sky blue fabric. The multi-level patio is wrapped around a cluster of large oak trees, truly a beautiful setting. A stone and metal fountain offsets the parking area creating a beautiful natural background. 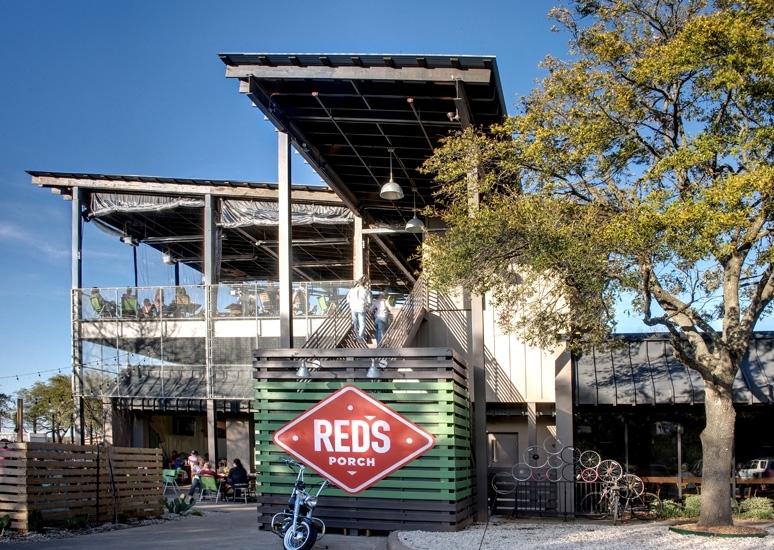 Red's Porch is one of Pinnacle Construction's most unique projects that included constructing a 1,600 s/f freestanding structure on top of a building. The existing 5,000 s/f commercial space was converted into a full size-kitchen and game lounge, and the storage was transformed into an open air dining area with a large bar. The top-side independent steel structure supports a covered roof top bar overlooking one of Austin's most breathtaking views. Hat Creek Burger Company Burnet Rd. Following the unique transformation of a nursery into the Hat Creek Westlake, we took on the challenge of updating Hat Creek Burnet Rd. Formerly an Arby's, the space had many distinct Arby's features. A new structure was built over the top of the building creating a Hat Creek barnlike trademark. The structure extends over a newly constructed outdoor patio. 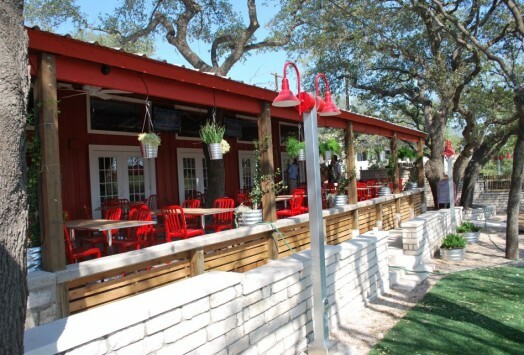 Storefront systems were replaced with OH doors creating an indoor/outdoor space on those beautiful Austin days. The custom playhouse is a piece of art constructed of wood and metal matching the building. Formerly Bennigan's the space was gutted and rebuilt to create a feel of an entirely new building. 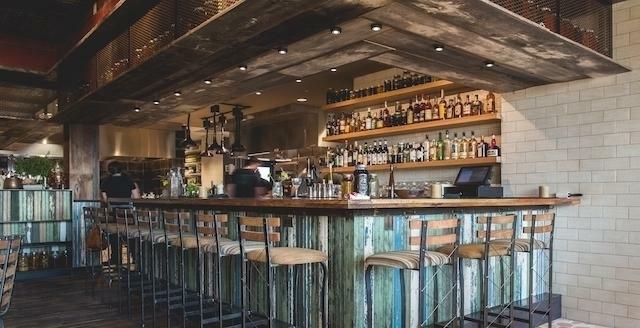 Large bar wrapped in reclaimed wood, large dining areas enclosed with half walls, built in seating, and exposed ceiling with creative lighting. The added covered patio and dining area wrap the entry. The interior finish-out of Avenue Five Institute gave the cosmetology school an incredible new look articulating Fifth Avenue, New York. It's clean lines in a North Austin strip center provided a multi-use facility in 12,000 square feet. 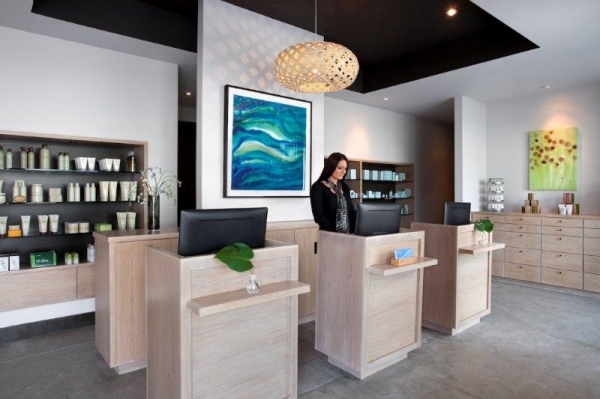 In addition to the front retail and spacious styling areas, student training rooms, a break room and administrative offices that allows a view of the entire salon were construction by Pinnacle Construction. The complete MEP systems were rebuilt, along with entire slab removal and clean concrete replacement for underground plumbing renovations. A private entrance for students was added on the south side of the space. Retro styling finishes add the ideal touch for this successful project. Pinnacle Construction was presented with a structural shell with all of the plumbing, mechanical and electrical roughs to be strategically hidden above nearly finished drywall ceilings. The construction finish out of this space was a beautiful success, to include a hydrotherapy room and 18 individual treatment rooms with the relaxing environment of a high end spa. The unique challenge of accelerated scheduling with the current conditions did not cause delay, as construction was completed within a short 84 days. Located on the first floor in the 5th Street Commons, Hiatus is 5,600 s/f of relaxing ambiance. Designed by Austin Joel Mozersky, Redbird is an inviting retail store with washed wood flooring, custom fixtures with wood and metal accents. Located in Westlake, the store has clean lines creating the perfect back drop for the eclectic merchandise. By George was built to be a space with a contemporary combination of wood and steel with a modern yet warm feel. Elevated from the street, the storefront system with huge glass windows and doors were constructed to offer a visible display of merchandise for passers-by. 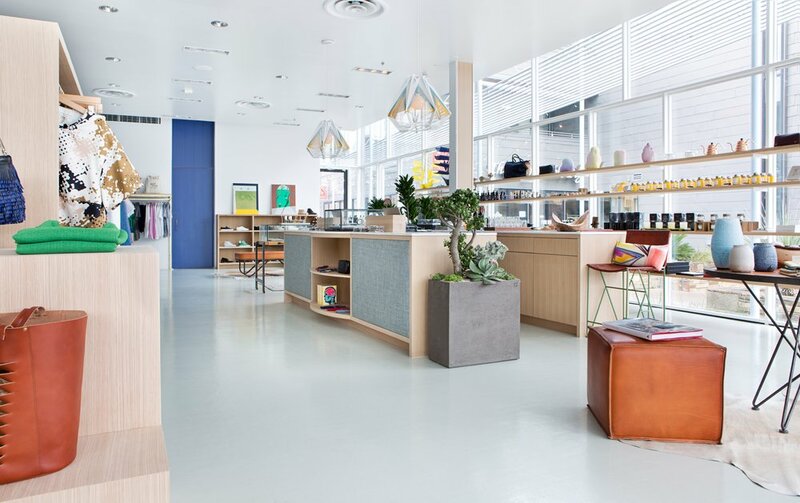 Pinnacle Construction's use of high ceilings, an indoor/outdoor planter bed and beautifully unique flooring distinguish this store in Austin's South Congress shopping district. 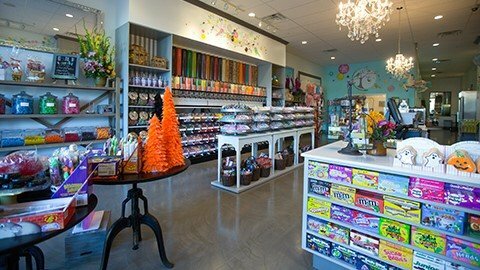 A new interior finish out of a 2,300 s/f space on Guadalupe St. created Campus Candy, located across from the University of Texas at Austin campus. 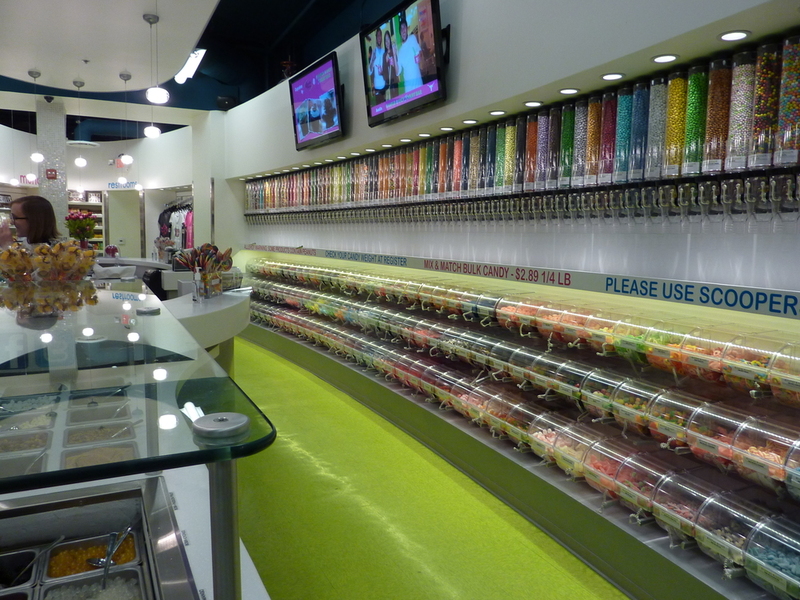 With limited square footage, Pinnacle Construction installed over 400 candy bins custom built into the store. The styling included putting in place a combination of materials ranging from 1" white tile to stainless steel hardware. 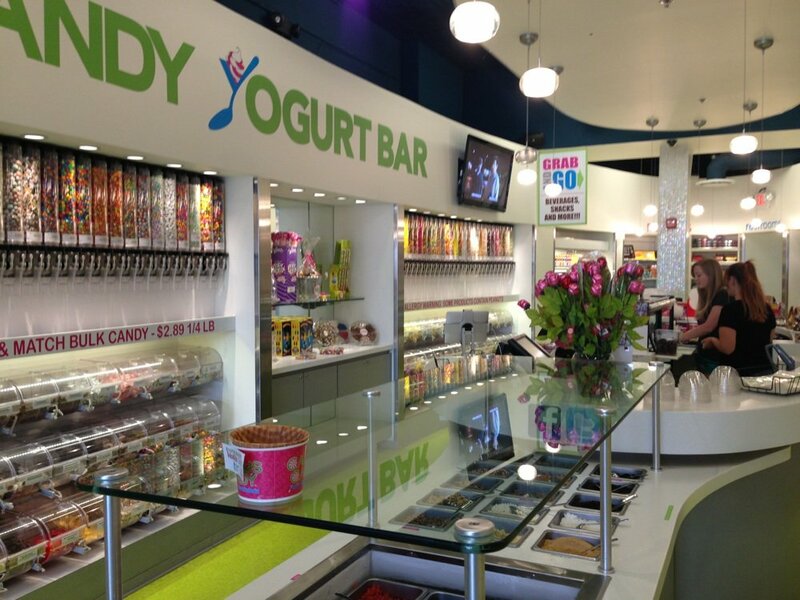 The mechanical system that serves frozen yogurt and the refrigerated beverage and dessert item area required new underground utilities and an upgrade of existing services for this sweet store. The finishes are as sweet as the merchandise. The entire space is lined with custom painted wood candy displays. Int he center of the space, a custom cash wrap encloses refrigerated displays, a snow cone machine and gift wrapping station, making it unique and specific for the space. The party room can be partitioned with sliding doors and has customized built in cabinets topped with mirrors. The finishes are white, bright and meticulous! 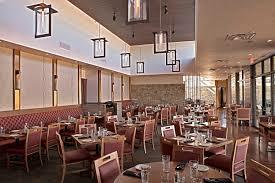 Interior remodel of a restaurant to create an Office and Therapy Center. Finishes are unique in both material and color, decorative ceiling panels also serving as sound barriers, and open therapy rooms. Remodel of former bar. Combining characteristics of existing structures and new modern structures to create a two level office. Poly gal walls with sliding doors saving space and finishes include salvage wood, exposed metals, carpet and tile. The exterior facade had a fresh face lift and added windows creating natural lighting. 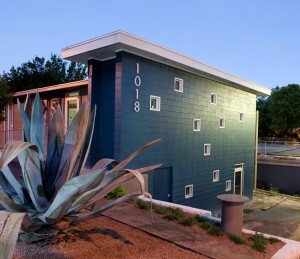 In 2003 Pinnacle Construction built MTV's "Real World" house at 301 San Jacinto in downtown Austin, TX. In 2005, the space was gutted by the construction company, renovated, and became Rio Grande Mexican Restaurant. 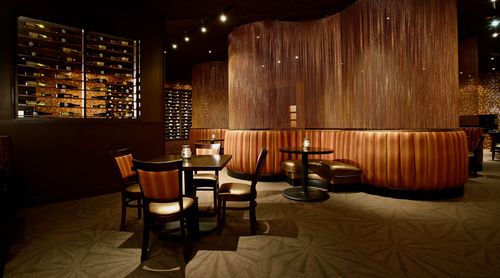 Revamped once again in 2010, Vince Young Steakhouse was created. This 10,000 s/f commercial property and Pinnacle Construction have a long and successful relationship together. 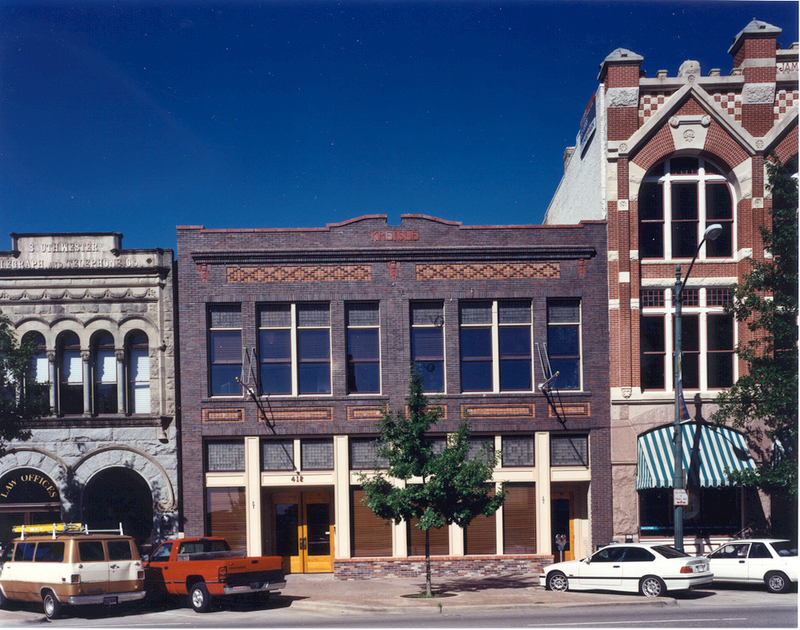 Located at the corner of 5th and Colorado, this space was originally three separate lease units and an eyesore to the Austin Warehouse district. 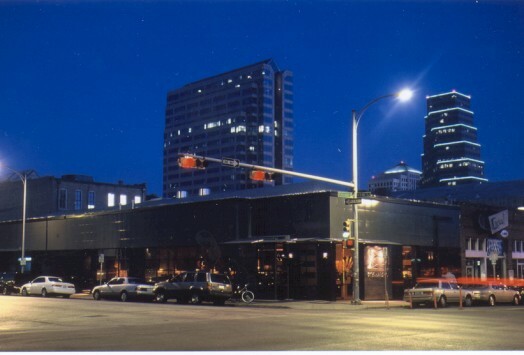 The corner facade renovation was completed by Pinnacle Construction simultaneously with the interior finish out for a restaurant, Kenichi; transforming the corner from a rundown area to one of Austin's most popular new places. Received the "Excellence in Construction Award" from Associated Builders & Contractors. The interior of the building at a busy corner in Westlake, a community west of Austin, was completely demolished and footage added. 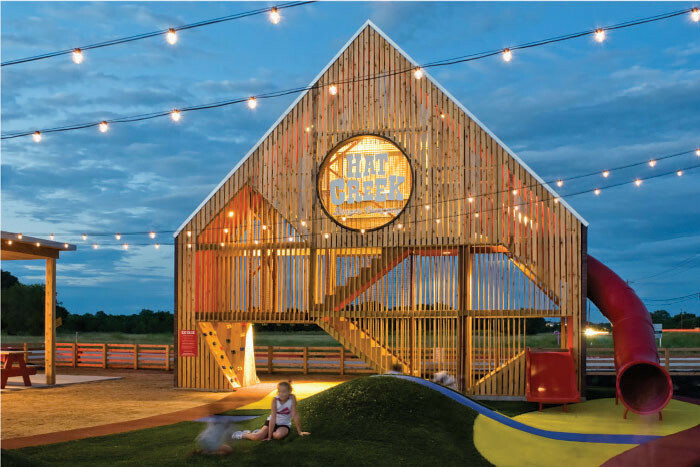 Pinnacle Construction converted an existing barn shell into a colorful hamburger spot, Hat Creek Burger Co. The site work portion of this project was extensive, including multiple grade changes in a limited area and squeezing in a drive thru lane. No space was wasted while preserving the natural landscape. Construction was completed in 90 days. A complete exterior and interior renovation describes Pinnacle Construction's work on the historic Kreisle Building in downtown Austin, TX. 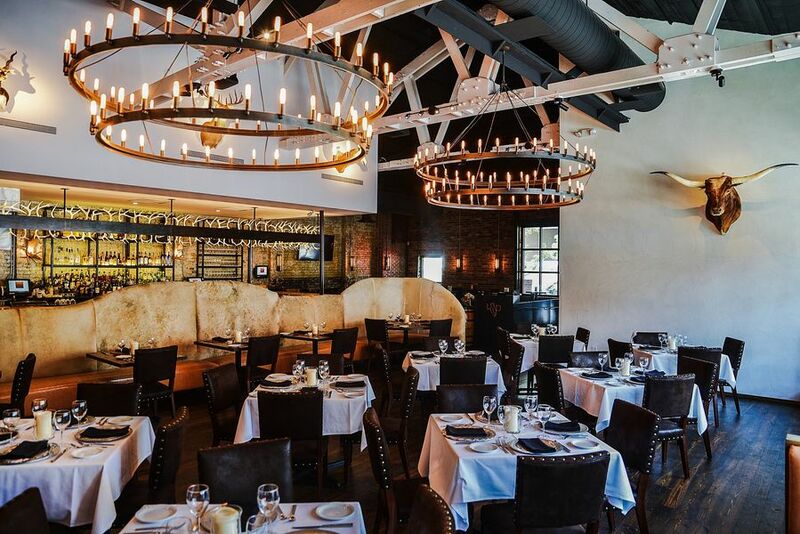 The original 1870's brick was exposed by a water blast process, the brick repainted, leaded glass windows restored and the storefront system rebuilt to replicate the original. Wood flooring throughout the building was replaced, repainted and sealed, with high grade wood, lighting and finishes incorporated throughout. The construction project was specified for 5,000 s/f of bar space and 3,000 s/f of tenant use on the first floor. An 8,000 s/f film center on the second floor included the installation of sound proof viewing and editing rooms. 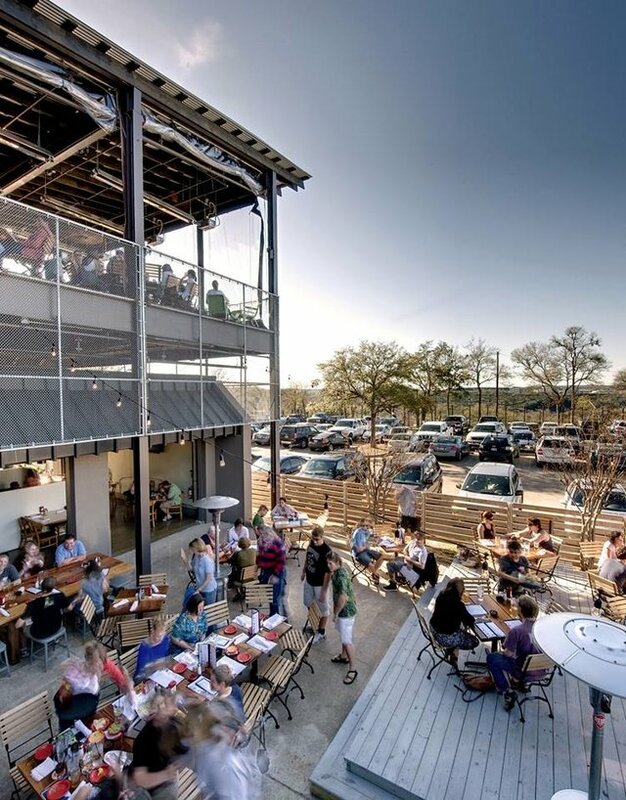 Approximately 2,500 s/f of the existing roof was removed and rebuilt for a rooftop deck/bar. Here, four foot trusses free spanning over 40', a new roof deck and waterproofing were constructed and installed. 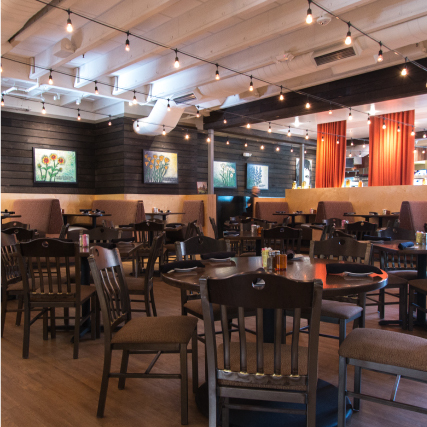 Completed in a fast 21 days, the renovation of an Austin original offered an exciting new feel for its loyal customers. 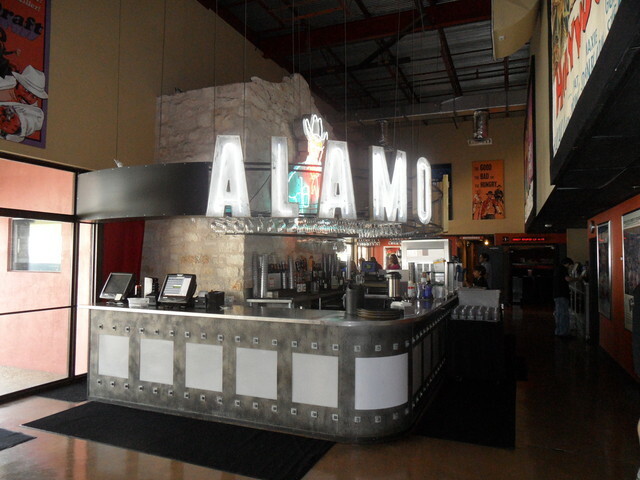 The addition of a 1,400 s/f by Pinnacle Construction, a new bar, storage and a complete overhaul of the interior helped to give the Alamo Drafthouse a new look without compromising its original Austin charm. Remodel of existing restaurant including interior "gut", new bar, entry, added patio with overhead doors for indoor/outdoor seating. Finish includes combination of wood, tile, stone and stucco.